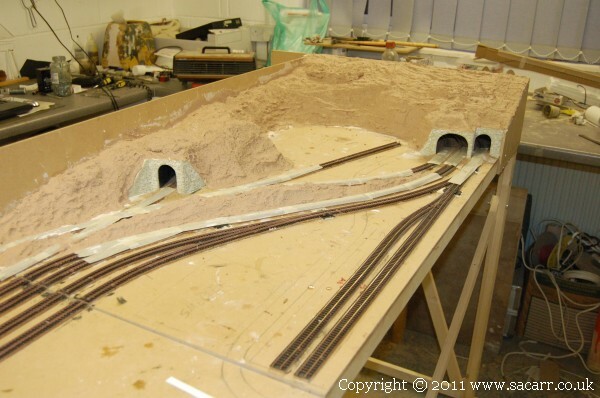 The Hills to the right side of the layout followed the same construction as that of the left. 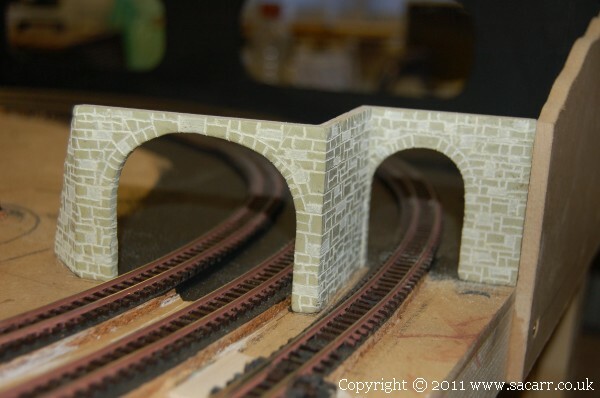 The only difference was the layout of the hill due to the additional tunnal portal on the inner line. 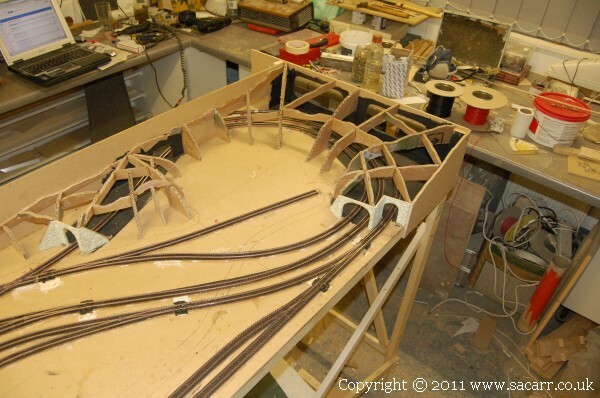 The basic card hill supports are 1/4 inch thick double corrugated, recycled from electrical equipment packaging. 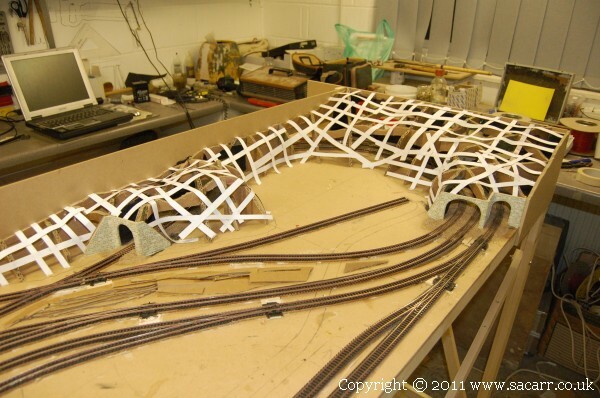 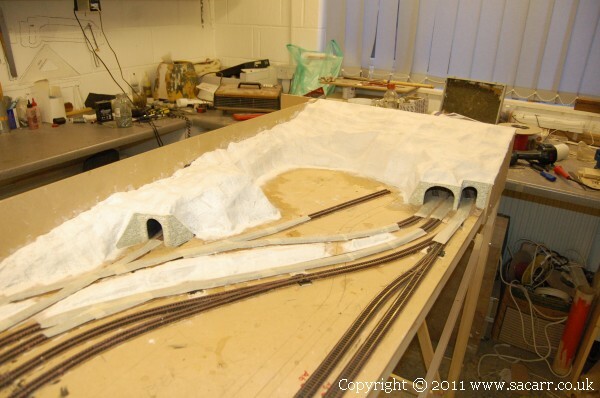 The rear hill support is the backscene which hides the 6 inch wide staging yard setting up and swapping trains.